As you read this, I’ll be reaching my 16th anniversary as a priest. I was thrown into the deep end in 2000 after my ordination to the diaconate when I was sent (not unexpectedly) to Soweto. Fr Chris Townsend at his ordination in Johannesburg 16 years ago, as captured in a photo by Fr Gerard Hattingh in The Southern Cross. He is now serving Queenswood parish in Pretoria. There is a clerical wisdom that says that your first parish is always your first love and I look back on those first five years of priestly ministry with great fondness. In Soweto I learned how to drive, was laughed at for my feeble attempts at seSotho and even worse attempts at isiZulu. I was shot at (not directly), I was scammed, and I felt at home. Recently I was chatting to a friend, and we joked about some of the funnier sides of life in a township. We joked about front doors. The Soweto I was sent to was rapidly becoming suburban. The houses were being upgraded and the streets tarred. Every house had to have a decent front door, and as a newly-minted priest, doing my first solo sick call, I naturally walked up to the door — dodging the dogs who barked only at white people. No-one answered. Yet I could hear the commotion from the back. You see, the memory of the klopjag was still very strong, and my knocking at the front door had the whole family leaping out of doors and windows at the back. No, never go in through the front door. In seSotho, which has a contested and historically difficult orthography (the way the language is written or codified), the French-based language patterns couldn’t cope with inflection. I bravely and occasionally proclaimed the Gospel to the Thursday morning gathering of the bepurpled and blue sodality members (over weekends I was rescued by the amazing Deacon Magata for all the serious stuff). Township funeral customs were occasions for practising the “smile-and-wave” technique that is so much part of the life and ministry of priests. Every family has a different way — and different responsibilities. My neighbour’s father had died and as the body arrived in the house on the Friday evening for the vigil, it was custom for a bull to be slaughtered. There was great commotion. One of the guys, a township lad dressed in Carvellas, selected a kitchen knife and with great confidence stabbed the bull…in the hind. The requisite bellow was achieved as was a comical image of the young man powered into a wall and the bull running off down the road like something from the bullrings of Spain. The story did not end there. This challenge was taken in stride as all the young men opened fire at the bull as it hurtled down the road. During the meal after the funeral, to which all were invited, we got the feeling that we were pulling out our fillings; there were so many small pieces of metal in the meat. 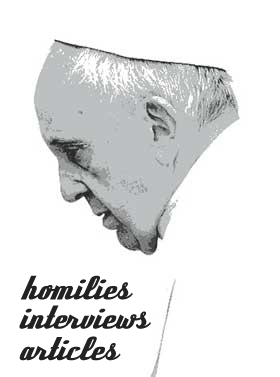 Catholics in townships, like Catholics everywhere, are normal people. Mostly good; some not so much. One night it was one of the latter who, having a dispute at one of the shebeens that surrounded me, leapt over my low fence and proceeded to try and hide from the street committee mob who were after him. Somehow he had managed to get on my roof and was peering over the ridge line at the mob of pistolled beer drinkers who were after him. When they caught sight of him, they opened fire without hesitation. That is not a good idea when your aim is less than steady. That little episode cost the parish, and the Pontifical Mission Society, over R200000 as we had to reroof the building (it wasn’t the first time St Michael’s had been shot at). Finally, there were the pigeons. They were prolific and defiant. And I am equally stubborn. After being issued with a health warning that these rats-with-wings had to be removed, I employed the services of a young priest who was a crack shot. One morning we set up a sniper station and he shot these township pigeons. As I watched, one or two fluttered off. But the majority took the bullets in the chest. Defiantly, as if they were receiving a challenge from a rugby team — not the Springboks, more like a New Zealand haka). Nothing happened. Nothing. We exercised the tactical withdrawal option and admitted defeat. These winged rats were tough. The years of my priestly ministry have created so many stories that I never watch soap operas or novellas. I have no need. I live one. Previous story Where Do Our Christmas Traditions Come From?